Al Capone's Brain Was Rotted By Syphilis To The Point Where He Was "Functionally A 12 Year Old"
Weird History Al Capone's Brain Was Rotted By Syphilis To The Point Where He Was "Functionally A 12-Year-Old"
Notorious gangster and criminal Al Capone lived an exciting and fascinating life; his death, on the other hand, was a bit tragic. How did Al Capone die? Capone had syphilis, which ultimately got him out of prison, but it also meant that he was destined to die a weak, confused, delusional man. Untreated for years, syphilis destroyed Capone like it brought down world leaders and artists throughout history. As an inmate at Alcatraz in the early 1930s, if not earlier, Capone showed signs of brain deterioration caused by dying of syphilis, and his last years were a mix of mental and physical decline that resulted in his regression to a child-like existence. Capone spent his final days in January 1947 as a feeble-minded man in Florida, having conversations with figments of his imagination while eating dinners with his wife and grandchildren – nothing like the intimidating mob boss he'd once been. 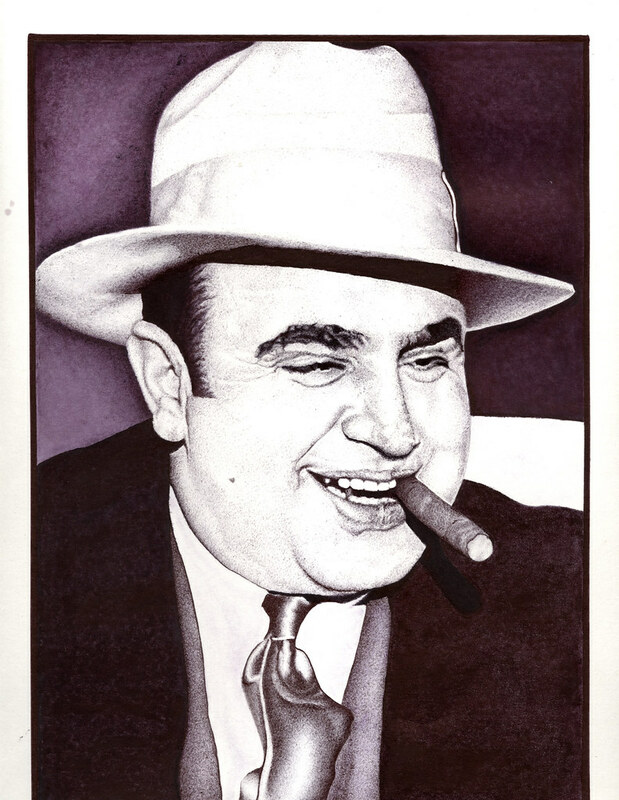 Alphonse Capone, later nicknamed "Scarface," grew up in New York before moving to Chicago in his early 20s. As teenagers, Al and his brother, Ralph, used to frequent dance halls, casinos, and other social clubs, with regular stop-offs to prostitutes along the way. Ralph got gonorrhea during this period, an indication of how widespread sexually transmitted diseases were at the time. It wasn't until men began joining the military around the First World War that public health officials realized how prevalent STDs really were. It's estimated that as much as 10% of the population of the US had syphilis in the mid-1910s. Capone never admitted where or when he got syphilis. Capone later told a doctor that he experienced fevers and sores for a time, but these symptoms went away, so he figured it was gone. In truth, this meant he had a form of syphilis that retreated into his body and began to attack his brain. There is still doubt as to whether or not Capone contracted syphilis before he met Mae, the mother of his only child and his wife. Capone must have had the disease by the time his son was born in 1918, however, because Albert Francis "Sonny" Capone was born with congenital syphilis in December 1918. Sonny was a sickly child due to the affliction and later developed an infection that caused him to lose his hearing in one ear. Whether or not Mae had syphilis remains inconclusive. Al Capone managed to avoid serious jail time until 1931 when he was finally convicted of tax evasion. He was sentenced to 11 years in prison and sent to the federal penitentiary in Atlanta, GA, in May 1932. During the medical exam when he entered prison, Capone was diagnosed with syphilis of the nervous system, along with gonorrhea and a perforated septum from cocaine abuse. While in Atlanta, Capone was treated incredibly well, given an easy job, tipped guards, and had unlimited access to the warden. Authorities were concerned that Capone would file a writ of habeas corpus and be able to get out of prison for a court appearance. To prevent this, they sent him to a maximum facility institution – Alcatraz – where prisoners were barred from submitting such writs. 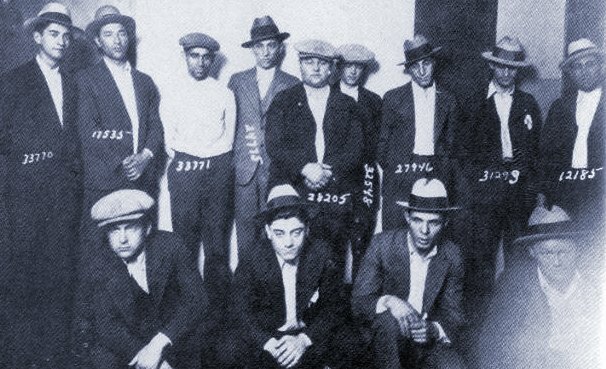 By the time Capone got to Alcatraz in 1934, his moods were erratic; he was lonely; and, because he was surrounded by the worst criminals the penal system had to offer, he felt as though he was never safe. He may have been right about his safety, however, because at one point, he was stabbed and sent to a local hospital for care. Mentally, he was increasingly disoriented and delusional. One moment, he thought he could end the Depression; the next moment, he thought he was speaking to God. Physically, he had a hard time walking and getting out of bed, and his speech was slurred. In 1938, Capone was put into a mental ward at Alcatraz, but when he got into a feces-throwing fight with another inmate, authorities realized they had to make a choice about his future in prison. He continued to be treated at the prison hospital, but there was no way to stop his decline.